My name is Deborah Sills, and I'm an Assistant Professor in the Civil & Environmental Engineering Department at Bucknell University. My research focuses on sustainable production of biofuels and bioproducts. I use laboratory studies and modeling techniques—such as life cycle assessment—to develop and improve the environmental performance of bioenergy production. In addition, I am interested in developing energy-efficient wastewater treatment processes to be used in developing countries. I work with a great group of undergraduate and Masters students . Roy Posmanik, Celia Martinez, Borja Cantero-Tubilla, Deborah Sills, Maria Cocero, Jefferson Tester. 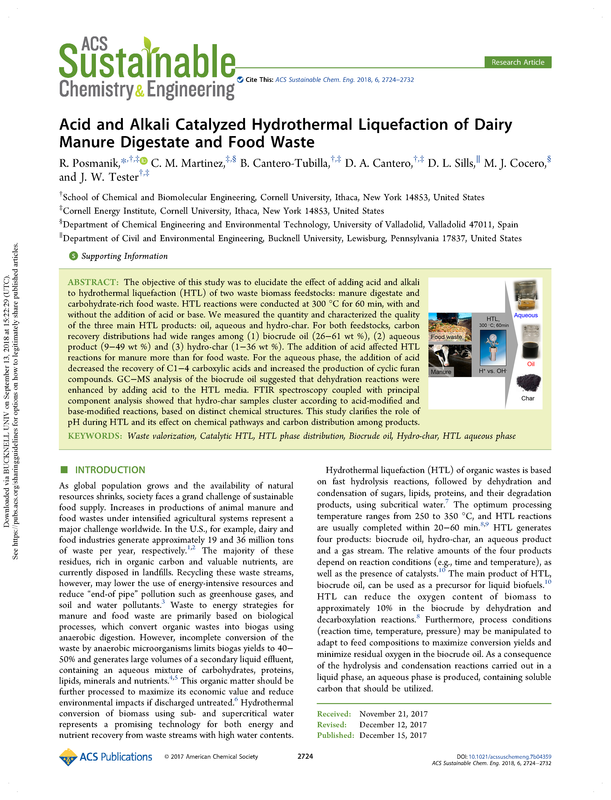 Acid and Alkali Catalyzed Hydrothermal Liquefaction of Dairy Manure Digestate and Food Waste. Sustainable Chemistry and Engineering, vol.6, pp.2724–2732, 2018. Léda G. Van Doren, Roy Posmanik, Felipe Bicalho, Jefferson Tester, Deborah Sills. 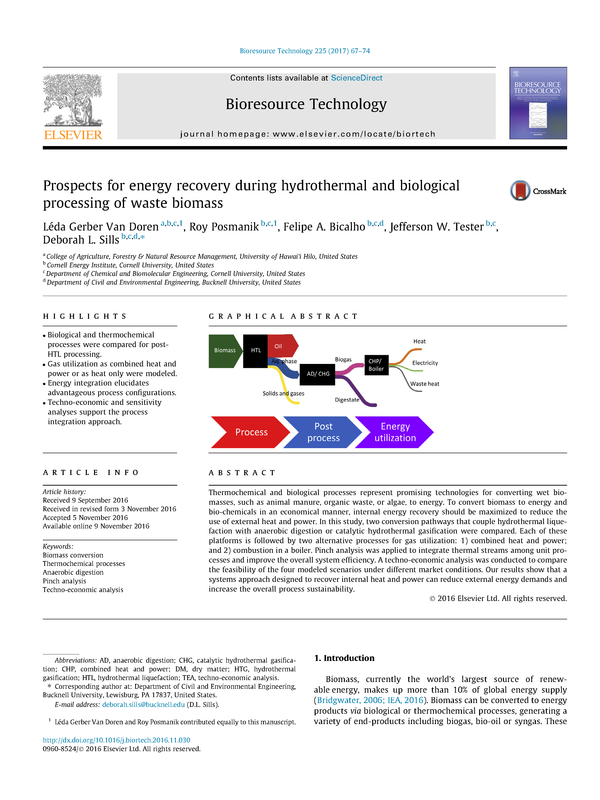 Prospects for Energy Recovery During Hydrothermal and Biological Processing of Waste Biomass. 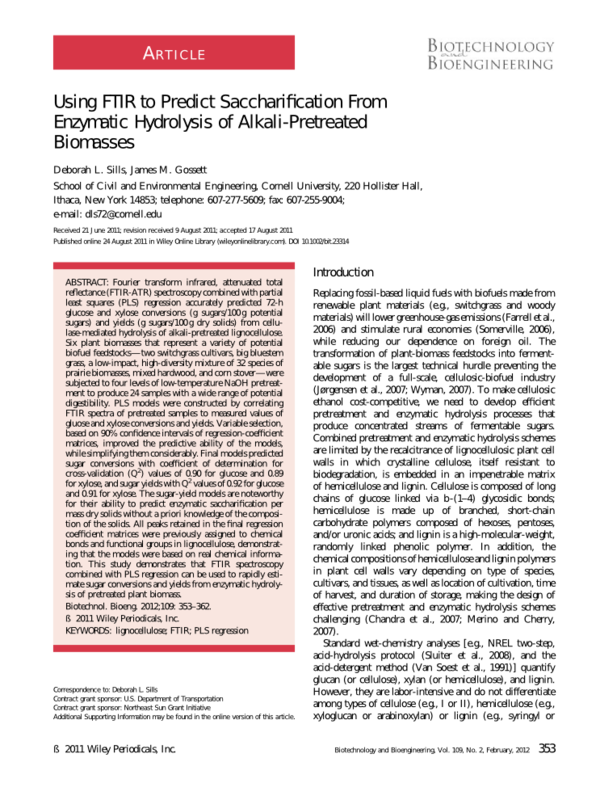 Bioresource Technology, vol.225, pp.67–74, 2017. Roy Posmanik, Danilo Cantero, Arnav Malkani, Deborah Sills, Jefferson Tester. 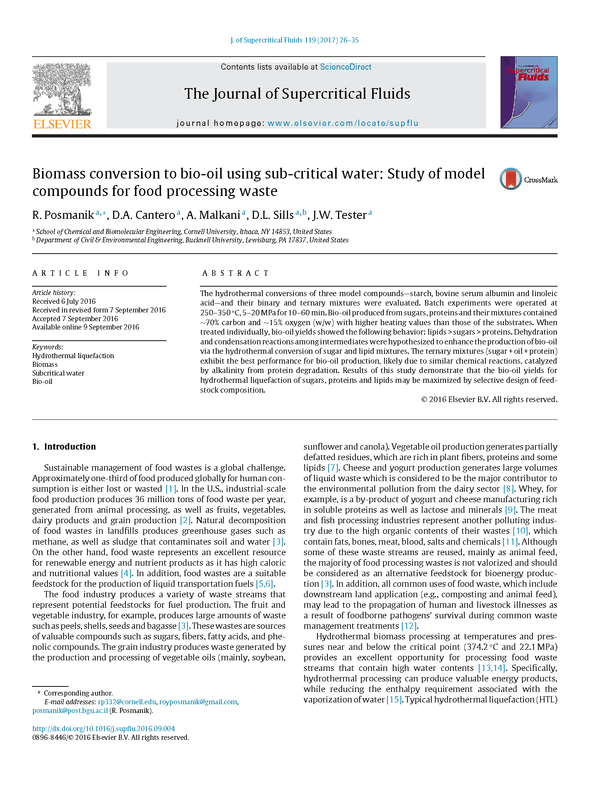 Biomass conversion to bio-oil using sub-critical water: Study of model compounds for food processing waste. Supercritical Fluids, vol.119, pp.26–35, 2017. Michael Walsh, Léda G. Van Doren, Deborah Sills, Ian Archibald, Colin Beal, Xingen Lei, Zachary Johnson, Charles Greene. 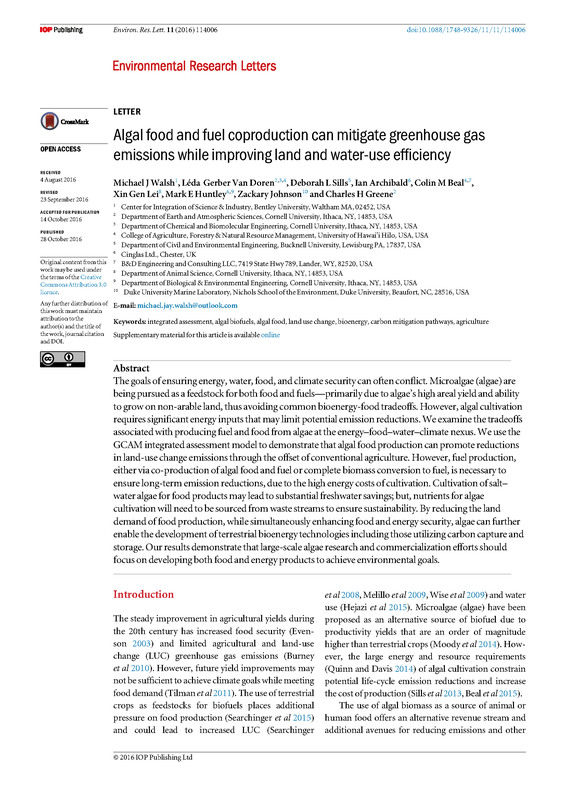 Algal food and fuel coproduction can mitigate greenhouse gas emissions while improving land and water-use efficiency..
Environmental Research Letters, vol. 11, pp. 114006, 2016. Deborah Sills, Valerie Wade, Thomas DiStefano. 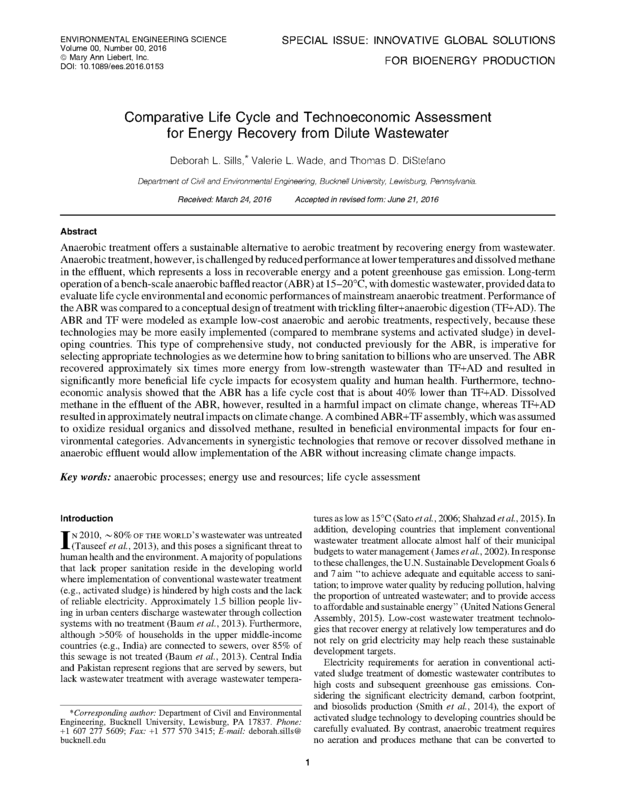 Comparative Life Cycle and Technoeconomic Assessment for Energy Recovery from Dilute Wastewater. Environmental Engineering Science, vol. 33, pp. 861–872, 2016. Léda Gerber, Jefferson Tester, Colin Beal, Mark Huntley, Deborah Sills. 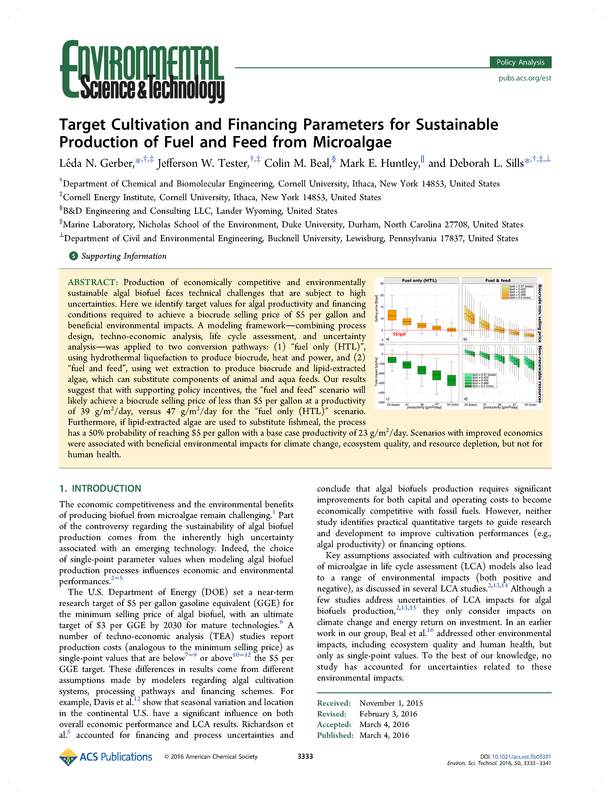 Target Cultivation and Financing Parameters for Sustainable Production of Fuel and Feed from Microalgae. Environmental Science & Technology, vol. 50, pp. 3333–3341, 2016. Colin Beal, Léda Gerber, Deborah Sills, Mark Huntley, Steve Machesky, Michael Walsh, Jefferson Tester, Ian Archibald, Joe Granados, Charles H Greene. 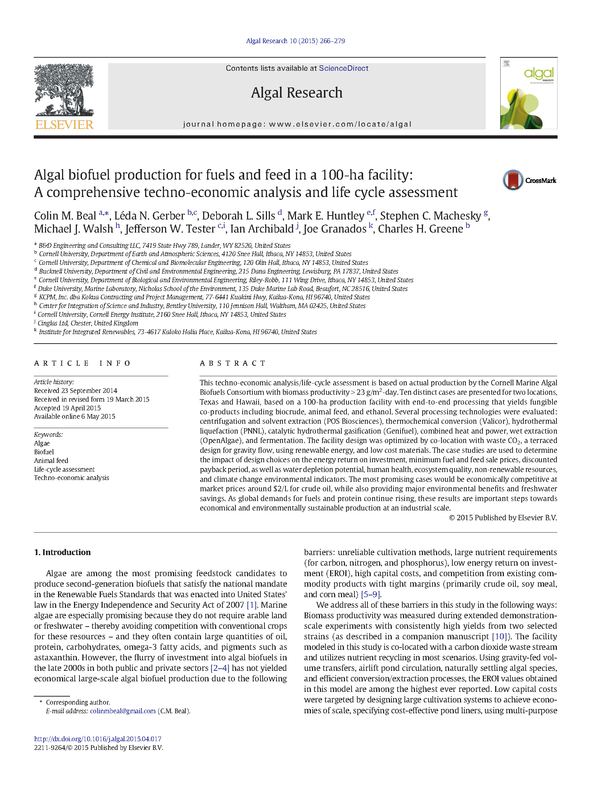 Algal Biofuel Production for Fuels and Feed in a 100-ha Facility: A Comprehensive Techno-economic Analysis and Life Cycle Assessment. Algal Research, vol. 10, pp. 266–270, 2015. Deborah Sills, V. Paramita, M. Franke, M. Johnson, T. Akabas, C. Greene, J. Tester. 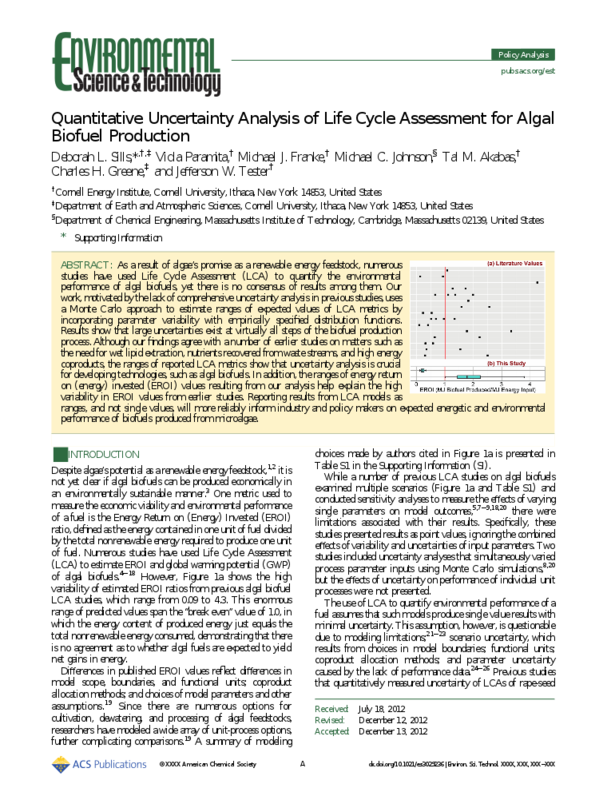 Quantitative uncertainty analyis of life cycle assessment for algal biofuel production. Environmental Science & Technology, vol. 47, pp. 687–692, 2013. Deborah Sills & James Gossett. Using FTIR spectroscopy to model alkaline pretreatment and enzymatic saccharification of six lignocellulosic biomasses. Biotechnology & Bioengineering, vol. 109, pp. 894–903, 2012. Using FTIR to predict saccharification from enzymatic hydrolysis of alkali-pretreated biomasses. Biotechnology & Bioengineering, vol. 109, pp. 352–363, 2012. 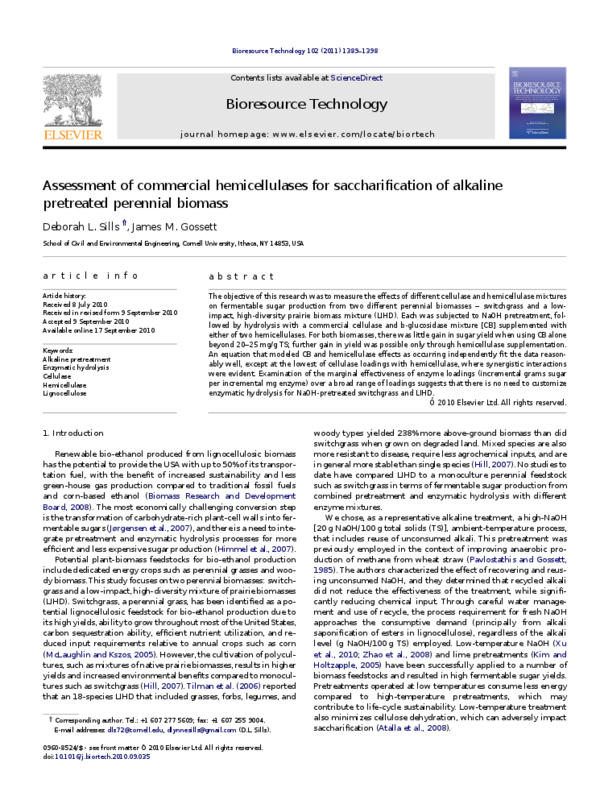 Assessment of commercial hemicellulases for saccharification of alkaline pretreated perennial biomass. Bioresource Technology, vol. 102, pp. 1389–1398, 2011.